Lemon Harangue Pie: Exercise in a bottle? Does it at least come with a straw? Exercise in a bottle? Does it at least come with a straw? "Ideally, we'll be able to develop products that will help promote and augment the effects of exercise," said Kei Sakamoto, who heads the diabetes and circadian rhythms department at the Nestlé Institute of Health Sciences in Switzerland. 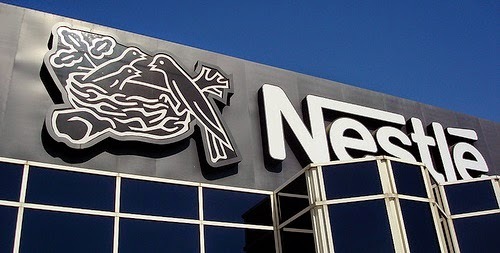 Specifically, Nestlé is working on a product that would regulate AMPK, an enzyme that scientists have dubbed the "metabolic master switch." The target customer is someone with diabetes or someone who is obese, according to the company. Researchers at Nestlé Institute of Health Sciences and several other institutions found that a compound acts on the AMPK enzyme in mice to stop their livers from producing fat, according to a study published in July in the journal Chemistry and Biology. Where can I get a case? But don't think you're going to drink your way to a beach body. The product won't outright replace exercise, Sakamoto said in a statement, explaining that even run-of-the-mill exercise has such a dynamic role that Nestlé will "never be able to mimic all those effects in a single product."